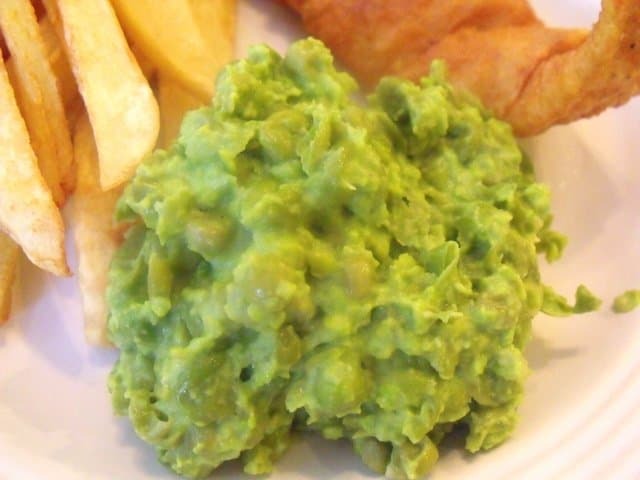 Mushy peas are served by English Chippies to accompany fried battered fish and chips. In Ireland mushy peas are often served as a side to roast leg of lamb. Whatever way you choose, they are a delicious, easy-to-make side dish. I serve mushy peas with fish and chips, just like they do in England. My husband lived and worked in London for nearly four years in his younger days and in that time span he grew very fond of fish, chips and mushy peas. And so after we got married, it was not long before he requested mushy peas. Now in England and Ireland, mushy peas are made using dried marrowfat peas. These are very large peas, which are soaked overnight in water with dissolved bicarbonate of soda. It is hard to find dried marrowfat peas where I live in America, unless I choose to order them online and pay top dollar. They can even be purchased pre-cooked in cans, but I am not fond of parting with extra cash for something I can recreate in my own kitchen. 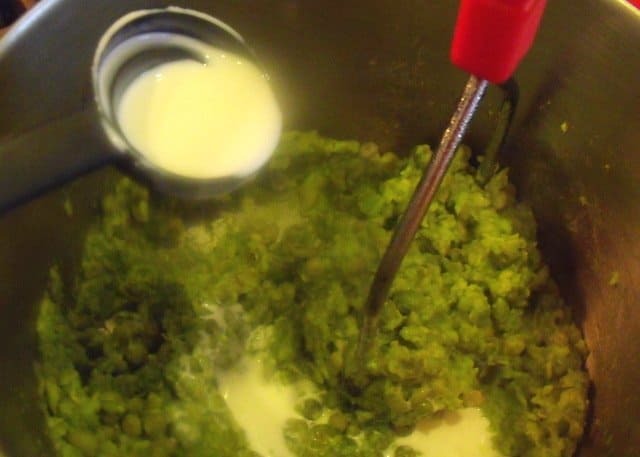 My version of mushy peas is made using fresh peas, then I add butter and whipping cream to the mashed peas to create a smoother, creamier texture. Here is my version using the best-case-scenario, substitute ingredients to recreate this side in an American kitchen. I find fresh English peas at my local Sam’s Club. They turn out great. It is important to use a large pea. If you can’t find fresh in your area, try a packet of frozen peas, but avoid the petite frozen peas. They are just too small and when mashed there are too many skins and not enough soft pea filling to recreate the appropriate texture. 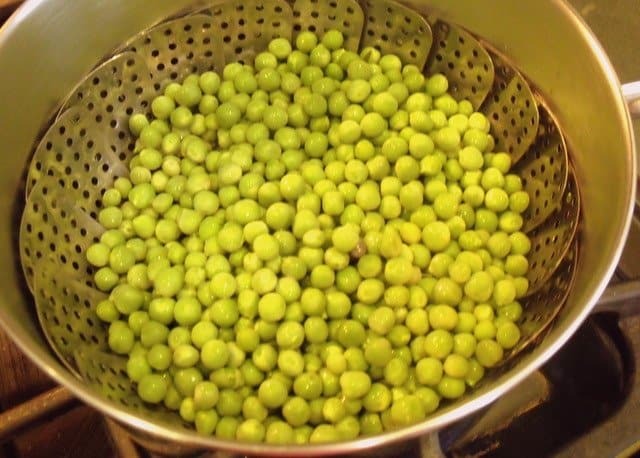 Pop the peas into a colander and rinse them well, sifting through them for any stones or brown ones. Transfer the peas to a large saucepan with a steaming basket. Add 1/2 inch of water to the bottom of the pan. Bring the water to a boil, then turn down the heat and allow the peas to simmer for 10 minutes. This may seem a little long, but if you keep the peas too crispy they don’t mash well, to create that lovely mushy pea texture. When I look at the photo of my steamed peas, I cringe at their wrinkles. I would never overcook peas like this if I was planning to serve plain steamed peas. But if they aren’t soft you’ll never mash them for mushy peas. When they are tender, remove them from the heat and drain them. Next melt the butter in the bottom of a saucepan. Add the peas and mash with a potato masher. You might want to use a food processor to do this work for you, but I find it very hard to judge the correct texture using a food processor. I tend to end up with pea puree, rather than the perfect mix of mush and semi-solid peas required. Anyway, at this stage I have already dirtied two saucepans, and the last thing I want to do is add to the clean up by transferring the peas to a food processor. Limit the dishes is always my motto!!! Next add the whipping cream and mix thoroughly. Season with salt and pepper to taste. If you want to create an alternative flavor, you can omit the cream and substitute finely chopped mint and two teaspoons of lemon juice. My husband is not fond of mint flavored peas, so I tend to stick with his favorite creamy version. Serve with fish and chips. Yummy, yummy goodness!!!! 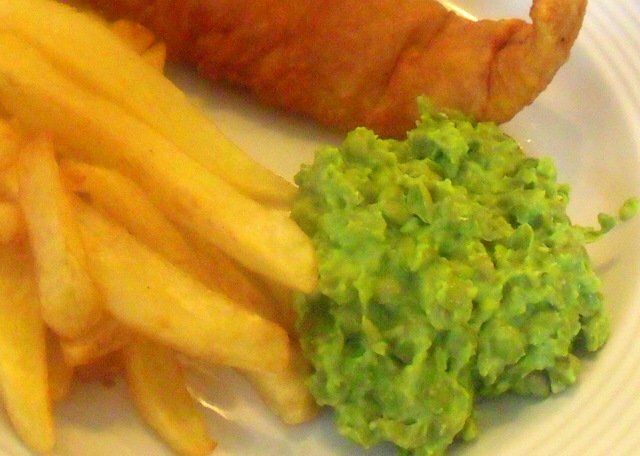 Mushy peas are served as a side to fried battered fish and chips by English Chippies. This recipe uses fresh peas as opposed to dried traditional marrowfat peas, a best case ingredient substitution for American cooks. 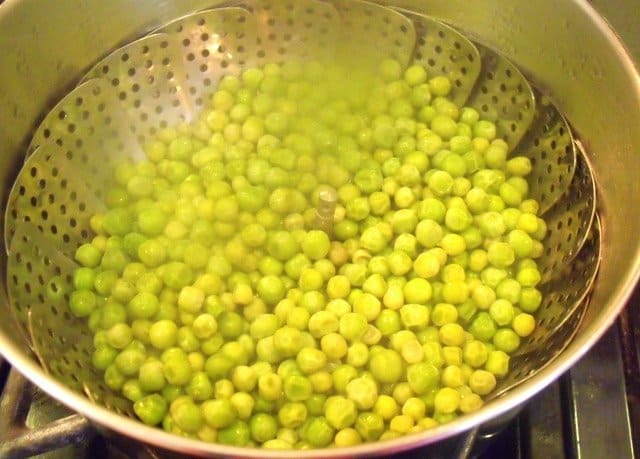 Step 1 Place the peas in a colander and rinse well. Step 2 Transfer the peas to a saucepan with a steaming tray. Add a 1/2 inch of water to the bottom, and turn up the heat. Once the water is boiling turn down the heat and steam the peas for 10 minutes. Step 3 Once the peas are tender, remove from the heat and drain. 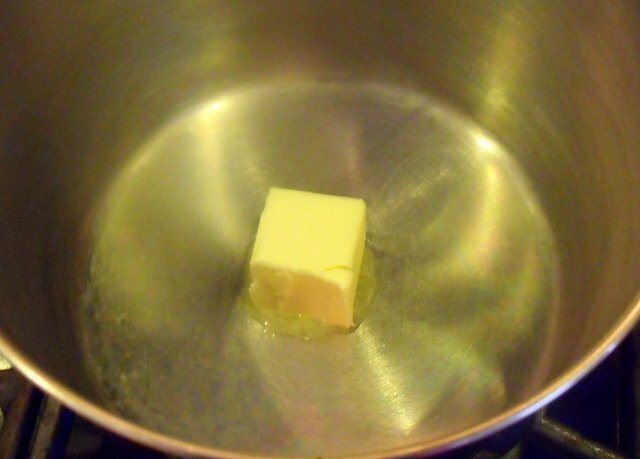 Step 4 Melt the butter in the bottom of a clean saucepan. 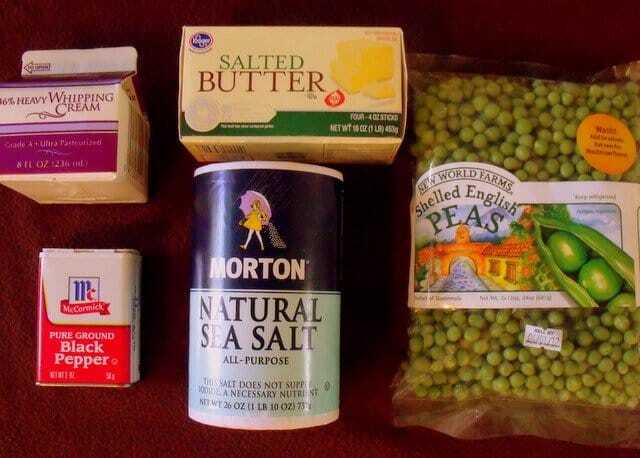 Add the steamed peas to the butter. Turn off the heat. Step 5 Using a potato masher, mush the peas. Do not fully puree, but create a textured mush. Add the cream and mix thoroughly. Season to taste with salt and pepper. Step 6 Serve with fried battered fish and chips. These peas are also delicious served as a side for roasts, or lamb chops. Mushy peas were a highlight of many of my childhood Sunday dinners. Wishing you all happy pea mushing!!!! You sure know how to make a girl hungry! Kay – If you are ever in Kentucky we’ll cook up some fish, chips and mushy peas for a real taste of England and Ireland. i know its years later – but a top-tip (from an englisman) is to add mint to your mushy peas. NEVER dried mint, but fresh. Preferably, chopped fresh mint – marinated in vinegar for a day, then added (to taste) to your mushy pea recipe. ….the fresh mint/vinegar marinate is what we call “mint sauce” – and in England, is an accompaniment to a roast lamb dinner. I love roast leg of lamb with mint sauce. You are giving many new recipe ideas for my blog. Thanks so much. I make a love pea and mint soup in the summer months. Mint just makes peas taste so good. Thanks for this great tip. 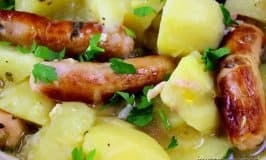 Cheryl – I have many Irish and English recipes to share that never really feature in what Americans understand as traditional grub. I do admit I love mushy peas! Richard – Marrowfats make perfect mushy peas, but when they are hard to come by we always find a substitute. Mushy peas are such a great side for fish and chips. Also, (im sure you are aware) that tartare sauce completes the “fish, chips n peas” meal. Tartare sauce is just perfect with a meal of fish, chips and mushy peas. I love tartare sauce from Ireland. It’s a little creamier than the American version. I should probably make a tartare sauce for my blog one of these fine days. 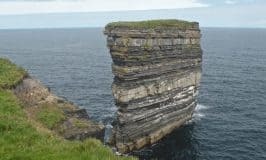 Dear Ann – I’m so glad you enjoyed my recipes – you can’t beat a little taste of Ireland when you are away from home. Thomas Jefferson planted marrowfat peas at Monticello and they’ve raised them every year,I ordered some and planted them,I’m on my 2nd year I’m up to 400 peas after planting them again next year I will get to taste them. Dear Frank – Thanks so much for letting us know marrowfats featured in the gardens at Monticello. I hope you have a wonderful crop of peas next year and that you get to savor the goodness of homegrown mushy peas. I had mushy peas a few years ago in England and loved them. I now make them with frozen peas, the food processor, your basic recipe and serve at room temp as a dip….I name them for whatever occasion I am celebrating and everyone loves them! This weekend my sister & brother-in-law are celebrating their 35th wedding anniversary with a party and the theme is “Casablanca”, their favorite movie. So I am calling them “Casablanca Moroccan Dip”…serving with store bought pita chips. Yum! Ilene – I never thought of using this recipe as a dip served at room temperature – thanks so much for this wonderful tip. And I love your original names, created for each occasion. What a brilliant idea. I hope you all have a lovely time at your sister’s wedding anniversary this weekend. Happy anniversary to your sister and her husband. Actual mushy peas are from pre-mideval times, and come from the dried peas in the field, not wet soft green ones. Real mushy peas are dried then soaked to get mushy, hence the name. Instead of buying peas from the store (which are picked fresh), you should try the real peas, the hard yellow ones. But you can’t buy them, you would have to grow your own, then let the whole plant turn brown, and shake them off. Since this was done to make harvesting and sotring easier, no modern store sells them this way. Makes it taste ten times better, and is far more authentic. (Like in split pea/ham soup). 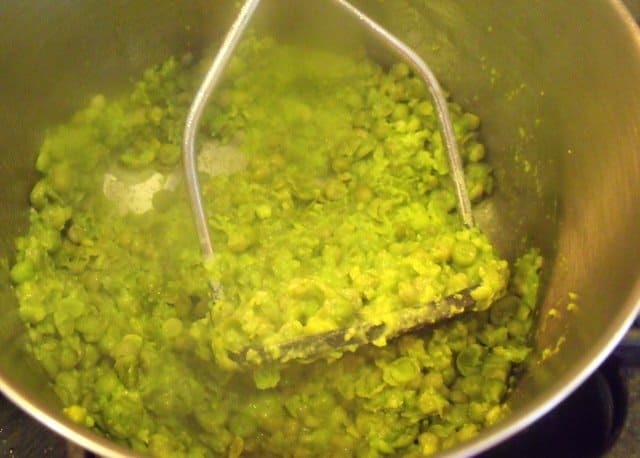 Jay – Thanks for all these mushy pea cooking tips. I realize my version of mushy peas is nothing like the end product when they are made with dried marrowfat peas, but this is a quick recipe I use as an easy, if not perfect, substitute. Here in the uk the dried peas are sold in any grocery store and are ideed the mature pea ripened on the plant, dried, then hulled. 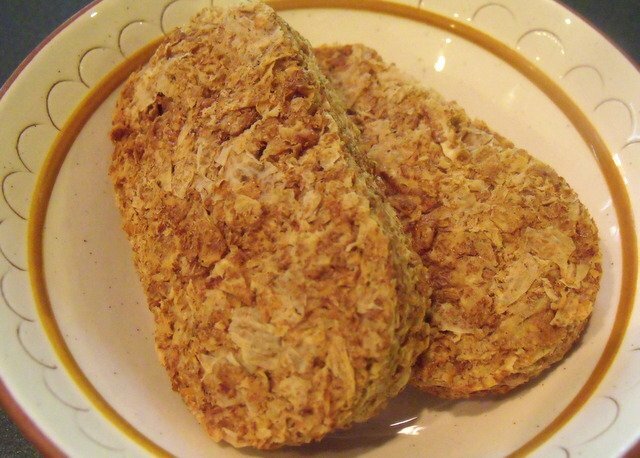 Nearly always sold with a bicarb tablet to hasten cooking – I tried cooking them without once and three hours later they were still like bullets, don’t know if they ever soften without the tablet. I have read that they were ground to make a flour in the past not just boiled. I have never seen anyone eating yellow mushy peas as a side veg, they are usually put in stews. Peas pudding hot, peas pudding cold, peas pudding in the pot nine days old. Some like it hot, some like it cold, some like it in the pot nine days old! Hi Bob – In Ireland I only buy dried marrowfat peas and soak them with the tablet to soften them. This recipe is an easy way to somewhat mimic mushy peas when I am cooking in America. Thanks so much for adding to our conversation about mushy peas. Everyone, what ever these are and how ever good they may be they are not mushy peas!!! Mushy peas neither do not need nor have butter and cream in them! And you do not need a masher to make them. They are mushy not mashed. Katie Jane – Very true – in my blog post I explain that I am unable to purchase marrowfat peas in the U.S. to make true mushy peas, but instead make do with this version. I suppose they should truly be called “mushed up peas”. I stumbled upon your blog while planning my St. Partick’s Day family luncheon. 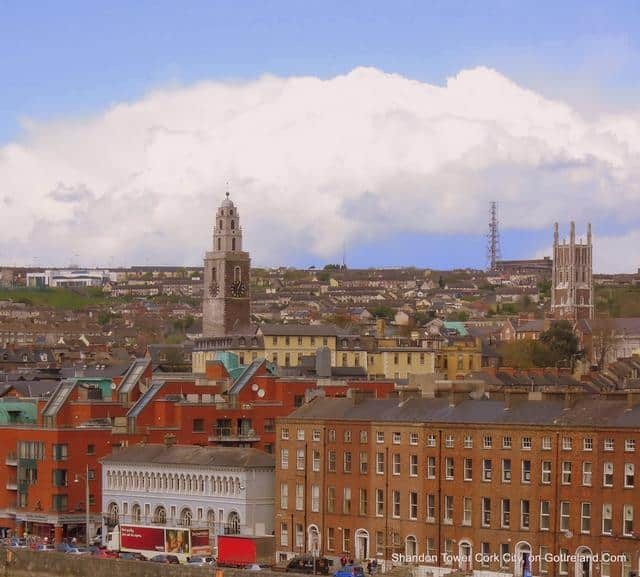 I am born and raised in California but lived in Ireland for two years starting in late 2007. I was pregnant when I arrived and in two years I left with a two year old and a five month old. I was not happy living there as I was depressed and homesick for my family, but all these years later I hold that experience fondly in my heart. My boys love Ireland and we long to visit with them and the third child we added when we came home. 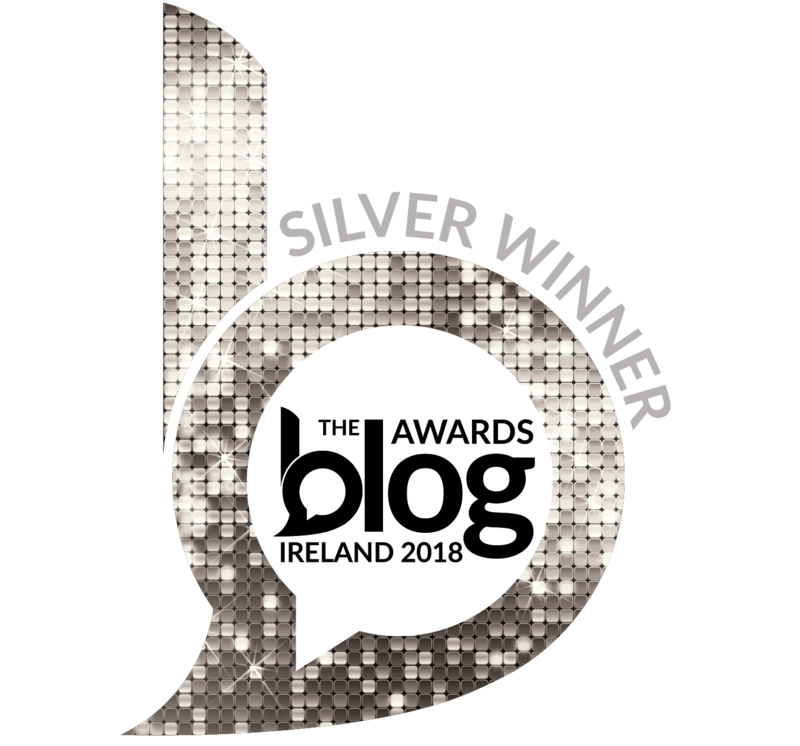 All this to say thank on for your blog and your recipes. 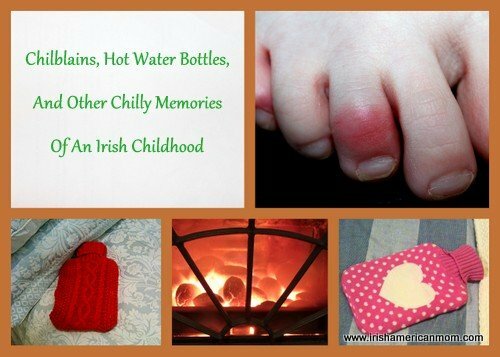 Hi Josephine – I’m delighted you came across my blog as you prepared your St. Patrick’s Day celebration. I’m glad to hear you have fond memories of your time there, despite being separated from your family by so many miles. I fully understand how you were never really happy in Ireland when you missed your family so much. Homesickness is a difficult thing to explain to those who have never experienced it, but trust me, after spending over 20 years in America, I know what homesickness is. Perhaps homesickness could be a topic for a blog post one day. Thanks for the inspiration. Great recipe! Thanks for sharing. I use the same one only I use all organic ingredients and only Kerrigold butter from Ireland! Thanks for giving this recipe your thumbs up. I agree that Kerrygold is the best way to go – no other butter in America compares to the wonderful creamy taste of Kerrygold. Lamb burgers, or lamb chops are definitely great pairings for this side. Thanks for stopping by and checking out my recipes. Katiejane, are you the recipe nazi or what?? Hi Bobby – Technically Katie Jane is correct, in that real mushy peas do not need to be mashed. But as you and I know we have to be creative when living in America to recreate some of the tastes we enjoy from across the water. Best wishes, and thanks for joining in our mushy pea conversation. This dish looks delicious. Something different. Do you think warmed chicken stock could be an alternative to the cream? Just wondering! Hi Barb- Chicken stock will work for a healthier version of this recipe. The taste and texture will be slightly different without the cream, but delicious nonetheless. Take care, and thanks for checking out this recipe. No lie, I ate this all in one sitting so fast that I forgot to take a picture of it. I live in US so I used frozen sweet peas and did it in the blender. So simple and so delicious. Hi Anna – Thanks for letting us know you enjoyed these mushy peas. This truly is a simple side dish, but this cooking method brings peas to a whole new level of excellence.